My customer wanted to had a floating menu to the NewForm.aspx page for one of the lists. The floating menu will stay on the top left corner of the page as page scrolls. The article worked really well for me is this one. The article talked about how to make the quick launch float, but I changed the div name and works for a normal menu. 1. Go to the article page, download the stickyQL.js file. 3. Save the file in the site collection’s style library. We’ll need to reference the file later. 4. Go to the site and open SharePoint Designer. From the left pane, select Master Pages. 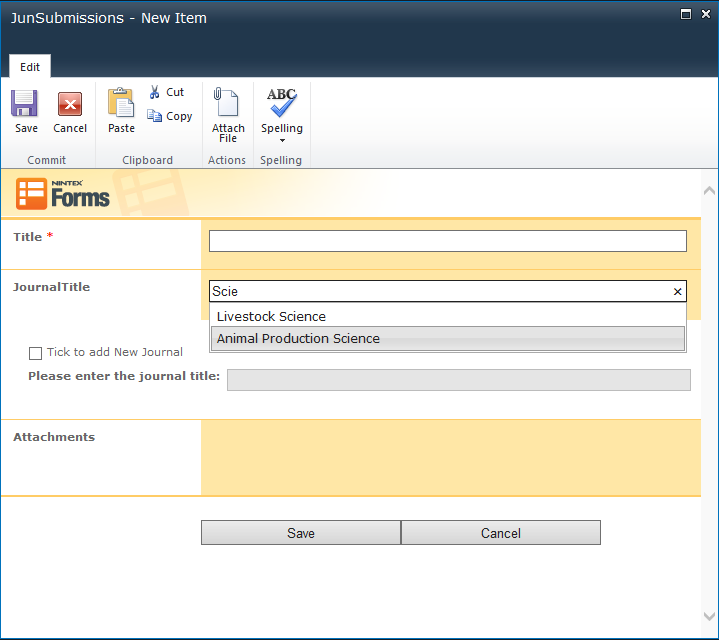 6.Go to the NewForm.aspx page, edit the page and add a new content editor web part. 7. Add the following code to the CEWP’s HTML source. 8. Click “Stop Editing” to exit editing. Unable to display this Web Part. SharePoint 2010 Data View Web Part issue. On our intranet, we have been constantly getting the following errors on pages that contains a Data View Web Part. Although I said constantly, it doesn’t mean that the error shows on a page all the time. It meant that a page sometimes works sometimes doesn’t. But if it doesn’t, it will show that error message. The inconsistant of the error makes it more difficult to debug and the log file wasn’t helpful either. After searching online, a few people has had the same problem. Someone said it had something to do with a SharePoint Update and suggested to install a hotfix, but we didn’t have that update installed so we didn’t want to try the hotfix. Another post mentioned that adding the “AllowPersonalization” property to a web part zone should fix the problem. However, it didn’t say how to add this property. Open up the root site in SharePoint Designer. From the left Navigation pane, choose Page Layouts. I had a custom Page Layout used by those pages that displays the Data View Web Part, so I opened that page layout. Follow the prompt and check it out. Click the “Advanced Mode” button on the top ribbon. In your code, search for “WebPartPages:WebPartZone” and inside that tag, add AllowPersonalization=”true”. After editing the page layout, make sure to check in and publish it. One thing either of the sites mentioned was to add a best bet web part to the result page to display the best bets. 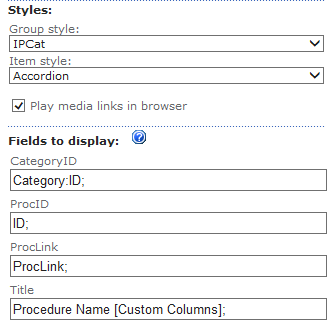 Create a web part to display categories and procedures. Group the procedures by category. Can add, edit and delete categories and procedures. 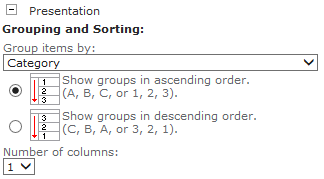 Used jQuery accordion to toggle the categories and items belonging to the category. Edit category and procedure in a modal dialog box. 3. Go to a page and add a CQWP. Export it to your local desktop. 4. Open the exported .webpart file in a text editor. 6. Upload the edited .webpart file to the Web Part Gallery in the root site. 7. Open your root site in SharePoint Designer. Navigate to All Files->Style Library->XSL Style Sheets. Create a new file and call it AccordionStyle.xsl. This is the style file is for each procedure item in the list. Copy the following code to the document. exclude-result-prefixes="x d xsl msxsl cmswrt"
This code displays the Expand All, Collapse All, Add Category and Add Procedure links before the list. To make it easier to see, visit this site and this site for conversion. 13. Go to the SharePoint page. Add a CEWP and enter the .txt file’s link to the Content Link field. 14. Add the uploaded CQWP from Step 6. 15. Edit the CQWP’s properties. Browse to the Procedure list. What often happens with SharePoint governance plans is that they’re produced (usually a lengthy document), uploaded to SharePoint along with an email to staff saying it’s there and they should refer to it for any SharePoint related guidance. This method of communication is what I call “toss it over the fence and hope that someone catches it”. Do this and it’s very unlikely that your SharePoint governance document is going to be read, let alone followed. Once your SharePoint governance policy is finished, make sure you communicate why you want people to follow this. Simply stating that people should follow it is not going to cut it. Telling people that they have to follow these policies just because is not going to be as effective as telling them if you tag your document it will make it easier to find later on. Or by following this policy you are helping us avoid legal issues. Think about your own governance policies and what positive effects will flow from following them. Are there some time consuming tasks that can be sped up by following correct SharePoint governance policy? Will complying with these policies improve business productivity? Will it help staff build better working relationships with their colleagues? Most people have a commitment to making the business work as well as to their colleagues but only if they understand why they are doing it. Complying with a governance policy is important, especially when there are legal ramifications. For example, one of the bigger issues especially in the US is that if you have a governance policy and you’re not following it, you have created a big litigation risk. So one of the real reasons to focus on governance is to avoid the risk of not meeting legal requirements or having to spend a lot of money in the eDiscovery process when you get sued. But perhaps people don’t know about this risk (see number one above) or the process for complying contains so many steps and is so time consuming that people are not going to bother with it. Automate as much as possible to take the hard work out of complying with your SharePoint governance policy. Use templates so that all sites start with good governance built right in. When possible, use a third-party tool to make it easier to ensure compliance. We’re really good at writing 100+ page governance documents. Even if you believe it’s a masterpiece and you can think of nothing better than pouring a good glass of red and settling in for the night to read it, I don’t know many people who would agree. It’s a shame because your governance plan actually contains valuable information that people need to know. No one reads long documents so don’t create a SharePoint governance plan as a long, boring document. Think about creating small bits of consumable information. Wiki pages and quick guides are a great way to easily great small, visually appealing consumable bits of governance guidance. But if you really want to make it easy for people, deliver your governance content in the context of where people work. For the most part, people won’t pay much attention to governance (or training) until they need to know how to do something. Try to go for “just in time governance”: small chunks of SharePoint governance information delivered at the moment you need it. For example, if I’m creating a document, I’m probably concentrating on writing the document, not thinking about what file naming convention I should use. I’m only worried about this when it comes to saving my document. So ideally you want your quick guide about file naming conventions to surface when I’m about to save it. Like magic! A simple, “no code” way to do this is to use Content Editor Web Parts (CEWP) on document library pages. CEWPs allow you to surface information “in place” for this kind of thing. Although SharePoint governance plans can be seen as just a necessity, the information in your plan is extremely valuable and can help make life easier, not harder, for your users. Make sure you’re communicating the value to your users, making it easy through automation tools and providing “just in time” governance and training. In one of our Nintex form, we need to allow people to search for items that are stored on another list and set the search result to be the input field’s value. Initially, I found a method called $().SPServices.SPAutocomplete from the SPServices site . In their SP2007 demo site, it worked perfectly on a normal form. So I copied the code to my Nintex form and it threw a error saying “Column is not an input control or is not found on page”. I searched that error message and found this article which had the same error. After reading it, I realise that Nintex form might have changed the control id therefore, the script couldn’t find it. The code posted by hilary86 worked the trick. This is the screenshot of my final result. When user start typing in the JournalTitle input field, items that contains the typed in words will show in the dropdown. The items showed in the autocomplete dropdown list are stored in another SharePoint list. So first of all, we need to create a SharePoint list and add a few items to the list. I called it “Journals”. Download the SPServices file from http://spservices.codeplex.com/, unzip it. 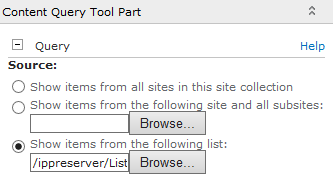 Open the jquery.SPServices-VersionNumber.min.js file and search for “(jQuery)”. It should be in the last line of the file. Replace it with “(NWF$)”. Save the file. Upload it to the site collection’s Style Library. Click on the input box control which will display the autocomplete and click Control Settings from the ribbon. Make sure you publish the form. That’s it. There are some other options can be added to the autocomplete, change to suit your needs. A big thanks to Marc Anderson and the team who developed SPServices! !